Shaking the Tale… where did it come from? It’s 2017 and I’m sitting with Philip Parr, drinking coffee in the March sunshine at the International Community Arts Festival (ICAF) in Rotterdam. We’re talking about the ICAF experience and also flying kites — floating ideas about working on something together. We’d met back in July 2015 at a symposium I was curating, entitled Beyond the Pale* – Meet the Makers. The weekend featured a number of theatre makers who create work outside of the usual urban supports. The conversations had continued after that and Philip and I had some vague ideas, but nothing concrete. As the Dutch coffee leaves dark rings in the cups, we hatch a plan, to make an off-site, community production of The Winter’s Tale… we stare at smartphone screens of Google Maps, looking a potential locations and I show Philip Greencastle and the tip of Inishowen in County Donegal, and the sands of Magilligan Point in County Derry and that is the beginning of a fascinating journey. It’s December 2017 and Philip calls me, saying, ‘I’m in the middle of a Creative Europe funding application, it might suit the Winter’s Tale. Would you and An Grianán like to come on board?’ All through Christmas we email each other and email Gdański Teatr Szekspirowski. There are budgets and forms, conversations and misunderstandings — we all speak English for ease of communication, but the colloquialisms and the curious habits sometimes need further explanation. There are more project descriptions and more budgets, but finally we agree and the application is sent. It’s July 2018, and I get another call from Philip, ‘We got it!’ he says. “Got what?’ I reply. And so Shaking the Tale is born, and we can’t wait to tell the world of our plans. But we are also filled with apprehension and not a little concern… What did we say we’d do? That feeling lasts a few days while we search back and look through the folders of documents, long forgotten, hiding on out computers. And go through those walls we will, whether they be political, sectarian, racist or simply the walls we build in our own lives. 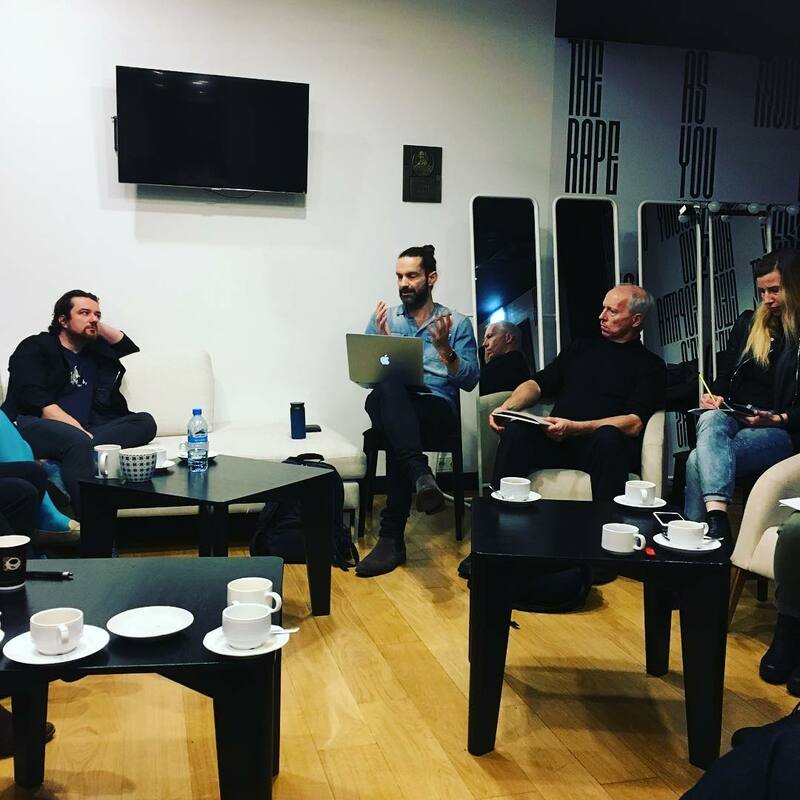 It’s November 2018 and we’re sitting in the Green Room of Gdański Teatr Szekspirowski, chatting with the partners at our first meeting. Accents and faces new — ideas and conversations we thought were once simply a flying kite over Rotterdam, are now real. Shaking the Walls… diagnosing the walls that divide communities, and how through theatre we might break them down. The words of James McDyer, the priest from West Donegal come to mind, ‘If you come to brick wall, you either get over it or go through it.’ And go through those walls we will, whether they be political, sectarian, racist or simply the walls we build in our own lives. Shaking the Tale is part of Shaking the Walls, a project co-funded by the Creative Europe Programme of the European Union. The project is led by Gdański Teatr Szekspirowski (Poland), the other partners are Parrabbola (UK), Cooltour Ostrava (Czech Republic) and Ratatam (Iceland). As well as Creative Europe, our co-funders for Shaking the Tale include the Donegal County Council, Arts Council of Ireland and the Earagail Arts Festival. 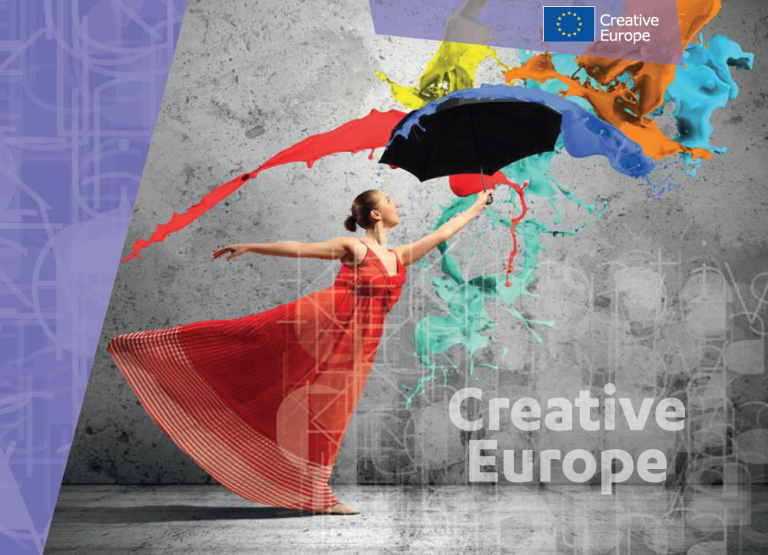 This week we learned we were successful in receiving Creative Europe funding for an exciting new project called Shaking the Walls with partners from across Europe. The project is led by Gdański Teatr Szekspirowski (Poland), the other partners are Parrabbola (UK), Cooltour Ostrava (Czech Republic) and Ratatam (Iceland). 2019 marks An Grianan Theatre’s 20th anniversary and we are really pleased that the Creative Europe funding will allow us to engage so many artists and creatives in making a work of scale and spectacle, in an off site location. The Shaking the Walls project is a great opportunity for us to examine the political and economic context of our place in the borders of the North West in association with our international partners. We will be producing an off-site, immersive presentation of Shakespeare’s The Winter’s Tale, in partnership with Parrabbola Theatre Company. The production will take place in July 2019, in Donegal and Derry, crossing the borders, the traditions and the waters of the North West. Two Kingdoms, Sicilia and Bohemia divided by an ocean; two kings, raised together, but at odds over the love of a woman; lost princes, prison sentences, tragic deaths, bears and ocean voyages, and finally, a mysterious and magical ending that reconciles the kingdoms; It is a problem play, a text with multiple personalities, but ultimately it explores conflict, reconciliation and borders. It is Shakespeare’s Brexit masterpiece. Following on from the production, the theatre’s writer in residence, Guy Le Jeune, will travel on to Gdańsk, Ostrava and Reykjavik, working with Parrabbola’s Director, Philip Parr, to create a new piece work that addresses the nature of the walls we build, both physical and metaphorical, to presented at the Gdańsk Shakespeare Theatre in 2020.